Do you have to deal with video editing or looking to start editing videos on Windows? Then you might be looking for a good video editor. So Wondershare Filmora is the best video editor for windows user. Wondershare Filmora will be the best video editing software for you, especially if you are a beginner. The great thing about it is that can download it for free. Yes, there are many video editors are available for the windows. But you will realize the true beauties of Filmora. The reason why it is among the top editors is simplicity. Filmora video editor is very simple to use. And if you are a complete beginner and newbie in the video editing, then it will help you a lot. There are many advantages of Filmora video editing software. And in this post, we will look at the most important of them. As discussed above, Filmora video editor is very simple to use. Even a non-technical person can learn to use it in minutes. One of the main advantages is the simple to use User Interface. And due to this interface, editing videos will be fun as well and you will not perceive it as drudgery. Let’s say you want to edit some clips. You will simply have to drag and drop clips into the video editor timeline. 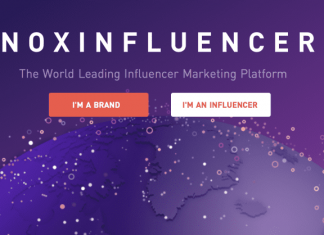 This is the best tool for a starter learning how to edit videos for commercial purposes. And then you can actually start editing the videos – and this is where all the fun begins. This video editor is good for both kinds of users. Beginners and as well as Advanced too. 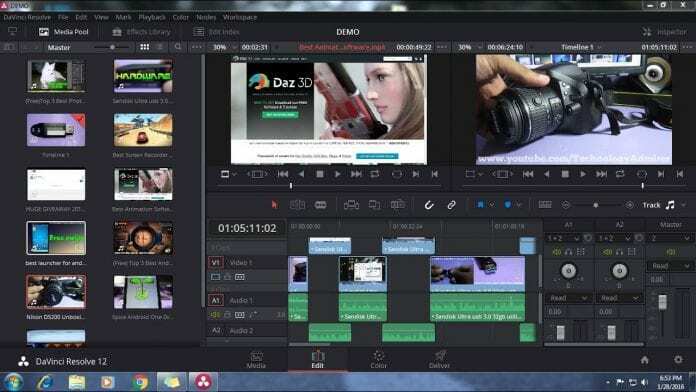 The reason for it is because it allows basic editing as well as advanced video editing in the same software. For example, in basic editing, you can do trimming, rotating, flipping and even cutting. These are the very basic video editing techniques one will have to learn and overcome and beginners will most likely not go beyond that. 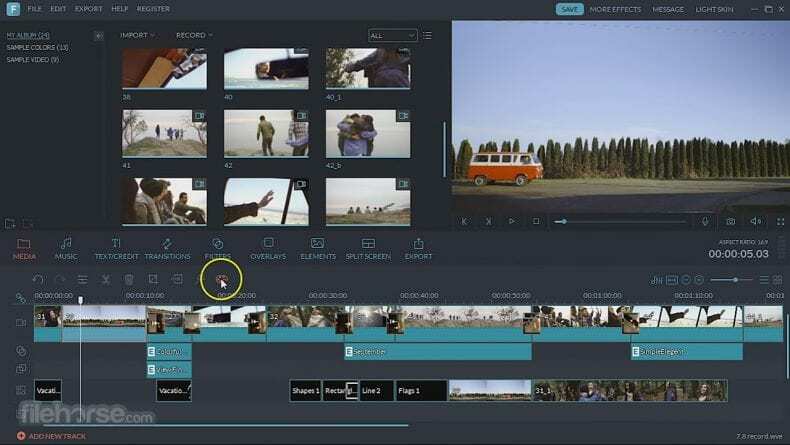 And Filmora also allows some advanced video editing techniques such as control video speed, merge and split videos, trim and cut movie files. In Filmora you can even personalize your video by adding background music, record voice, and composite Chroma keying as you like. In order to make video attractive and beautiful, you will have to use various filters, overlays, and transitions. All of these are present in Filmora video editor and you do not need to download it by yourself. 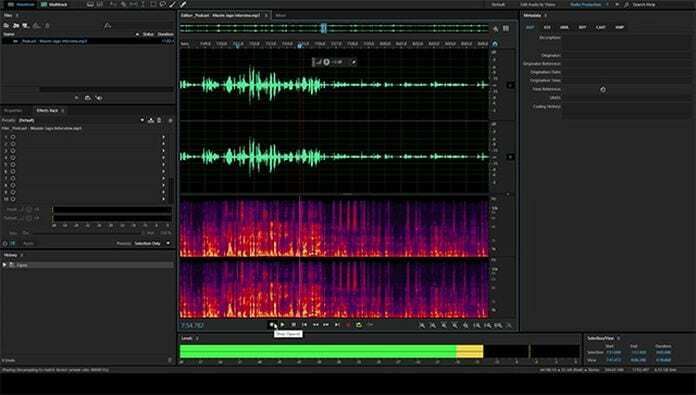 Many video editors lack in providing a very good audio editing experience. But Filmora has an outstanding audio editing support. This helps in cutting/trimming even a one second of lag in the video. You can easily remove background noise from the video in the Filmora video editor. Not only can you remove the background noise from the videos, but you can also remove and mute the video audio. If you are using Filmora video editing software for editing videos for youtube then you should know that this editor allows you to directly upload your videos to Youtube and Vimeo. And if you just wish to save the video edited on the Filmora video editor platform then you can do that too. You can save the video in various formats such as MP4, MPEG2, FLV, and HD Videos for iPhone, iPad, PSP and many more. Besides this, if you want to burn the files in the DVD disc then you can do it too. And this is why Filmora video editor is so popular. 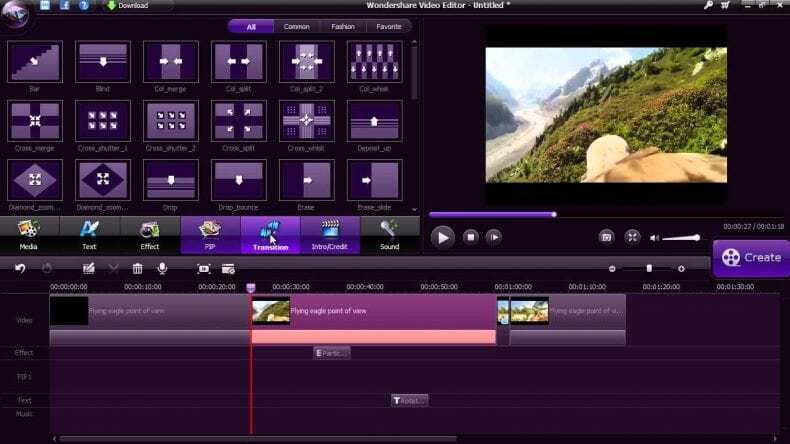 Besides being easy to use, this video editor has lots of features that other video editors lack. You can give it a shot and decide by yourself. There are a lot of Windows users that will fall in love with Filmora’s amazing features The best thing about this video editor is that it is a complete video editor. Which means people who need to do only basic editing and people who need to do advance video editing can use this same software at the same time. So without paying any penny, you can try the software for free!